Are you a marketing leader today? If so, then you are likely gaining the experience of a high-growth entrepreneur, next-generation C-level executive or CEO. 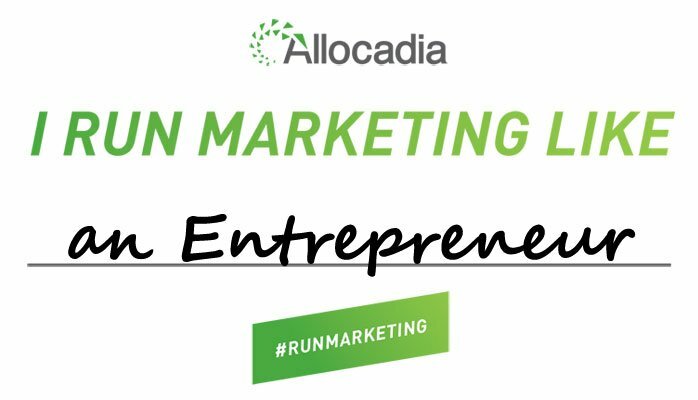 At the recent MarTech Conference, hosted by Scott Brinker, I met the Allocadia folks who were had launched a great campaign “I #RunMarketing like _____”. The first thought that came to mind was ‘entrepreneur’. In our current state of rapid innovation, customer-centric needs evolve rapidly. Competitors are only running faster as the red queen effect is becoming more relevant and extending beyond SaaS tech. For a CMO, certain skills and experiences are still required to achieve CEO leadership. However, regardless of the title, marketing leaders who can achieve a tighter connection across those capabilities listed above will deliver a resilient organization. As a marketing leader, how have you had to deliver on some of these responsibilities? How has it differentiated you from other members of the organization?